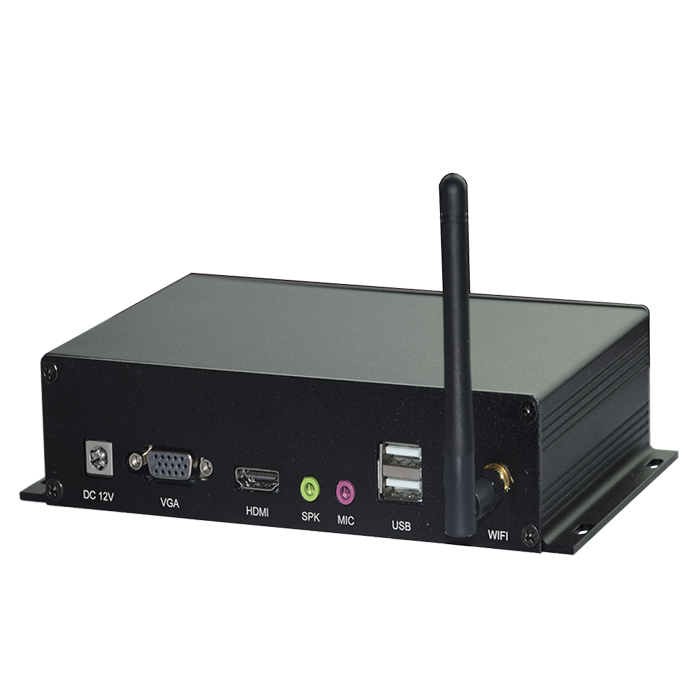 This AD media box adopts RK3188 Cortex-A9 quad-core high-performance processor platform, and basic frequency can be up to 1.6GHz in maximum.Besides,with super 3D acceleration graphics processing capacity, 1080P video decoding ability. 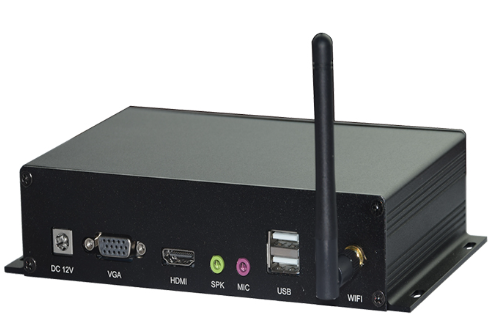 It mainly is designed for the long-term stable operation requirements of HD video application, and can provide an extremely fluent video playback experience. This product has no fan design and with high-quality heat sink inside, which is suitable for industrial and industry information release application requirements.